Smoking or other use of tobacco by students is prohibited. Students may not carry or possess tobacco products on school property or at school functions. School personnel have the authority to confiscate tobacco products. If a student violates this rule, he or she will be subject to in-school disciplinary measures and the parent/guardian will be notified and/or asked to come in for a conference. Violators will be given information about the health risks of tobacco use and information about the help available if they decide to quit. After repeated offenses, a student may be suspended. 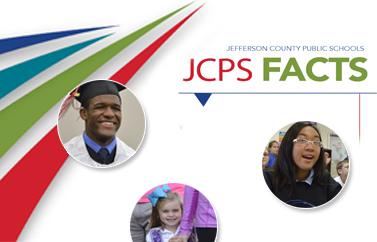 The length of the student's suspension may be reduced by his or her participating in programs recommended by the JCPS Student Due Process Unit. Possession of or under the influence of drugs/alcohol includes look-alike drugs/alcohol. Consequences include a six- to ten-day Central Office suspension, with a parent/guardian conference. The JCPS Compliance and Investigations Office may file a report with the Court-Designated Worker (CDW). Law enforcement officials will be notified by local school administration, in accordance with the Police Memorandum of Agreement. Suspension may be reduced by the assistant director of Student Relations after consulting with the local school principal. Note: Under the influence will be determined by having an administrator and another adult verify that the student's behavior(s) indicates drug or alcohol abuse and that the student should be removed from the school. A student will be considered under the influence when one or more of the following indicators are noted: vomiting, staggering, emitting an indicative odor, exhibiting incoherence/disorientation, slurring speech, exhibiting dilated pupils, and/or displaying other physical evidence. Possession of or being under the influence of drugs/alcohol (includes look-alike substances) results in an alternative placement. Consequences include a six- to ten-day, long-term Central Office suspension, with a parent/guardian conference. The JCPS Compliance and Investigations Office may file a report with the CDW. Law enforcement officials will be notified by local school administrators, in accordance with the Police Memorandum of Agreement. The student will be assigned alternative placement. Any offense of trafficking or distribution of drugs/alcohol will result in alternative placement. This policy includes alcohol, illegal drugs, prescription drugs, over-the-counter drugs, and look-alike drugs/alcohol. A student found to be in possession of more drugs/alcohol than would be consumed by one person will be presumed to be trafficking as prescribed by law.